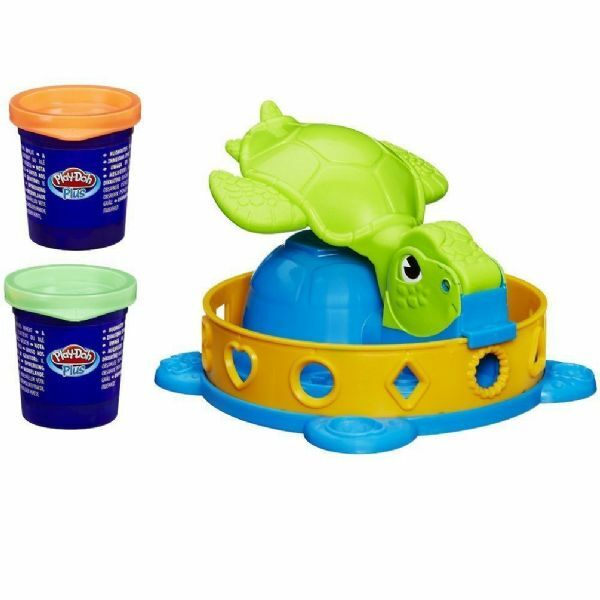 Making fun shapes with the Twist 'n Squish Turtle play set is super easy. Spin the turtle to choose the shape you want and fill its shell with the colourful Play-Doh, then squish down and see the shapes ooze out. Choose from one of the 12 shapes and the two different pots of coloured dough. Great for sensory and creative development, your little one will also enjoy creating their own models and feeling the dough in their hands. Fill the turtle's shell with Play-Doh and squish to make the shapes. Comes with 12 shapes and 2 x pots of Play-Doh Plus (For easy squishing!). Box Size: Width: 25cm Height: 17cm .